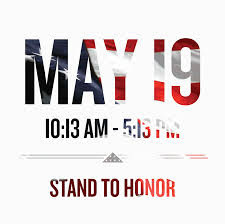 On Saturday, May 19, the Southern Tide store at Freshfields Village will be hosting Stand to Honor, an event to raise money for scholarships to support the spouses and children of America’s fallen and disabled service members. To kick off the event, Mayor Weaver will be the first volunteer to stand for 13 minutes in the footprints of a fallen soldier to symbolize the commitment to helping Stand to Honor families. Volunteers will stand in 13-minute increments from 10:13 am – 5:13 pm. The number thirteen is significant because it reflects the number of times the American flag is folded when honoring a fallen soldier.